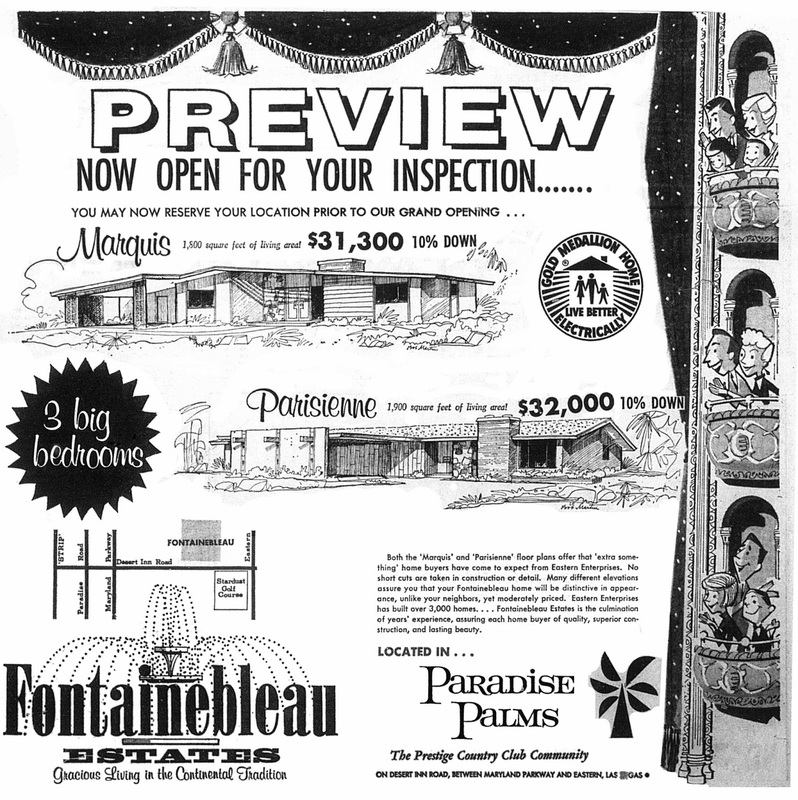 Continued research at the Nevada State Museum has at long last revealed one of the last large 1960’s tract builders in Paradise Palms. 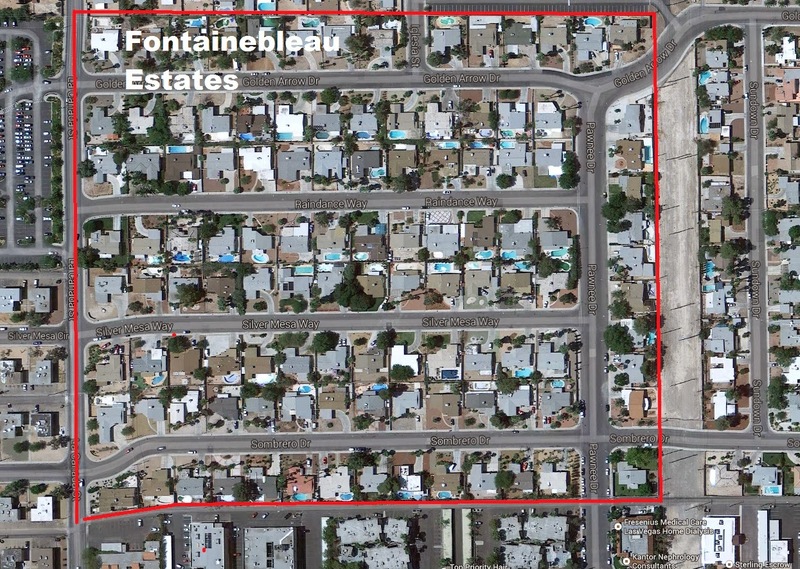 Consisting of 115 homes on approximately 32 acres, Paradise Palms Unit 15 is located in the northwestern most portion of Paradise Palms, bounded by Golden Arrow Drive to north, Sombrero Drive to the south, La Canada Drive to the west and Pawnee Drive to the east. Models were located at the northwest corner of Pawnee Way and Sombrero Drive. Historic aerial photographs and building permits reveal that most likely those were the first two homes fronting Sombrero Drive. 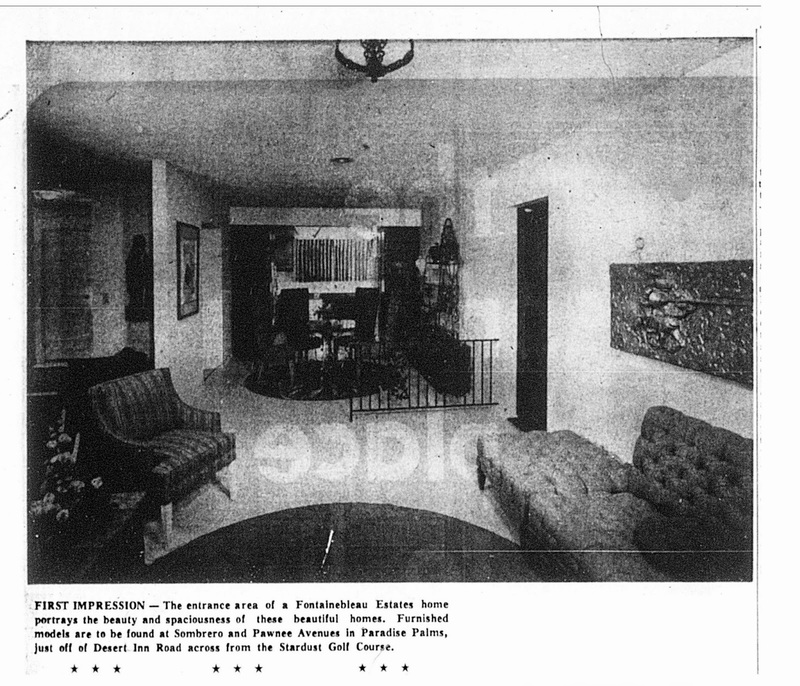 Along with elevation choice, buyers could choose between oversized two-car garages or carports, while kitchens offered pantries, Gaffers & Sattler built-ins (Gaffers and Sattler appliances were folded into Magic Chef in 1969), extra-large garbage disposals and dishwashers, Jensen hoods and spice racks and full luminous (wall-to-wall fluorescent) ceilings. Living areas offered fireplaces, sunken living rooms, all-nylon carpeting, double front entry doors, built-in clothes hampers and well-thought out spacious foyers. 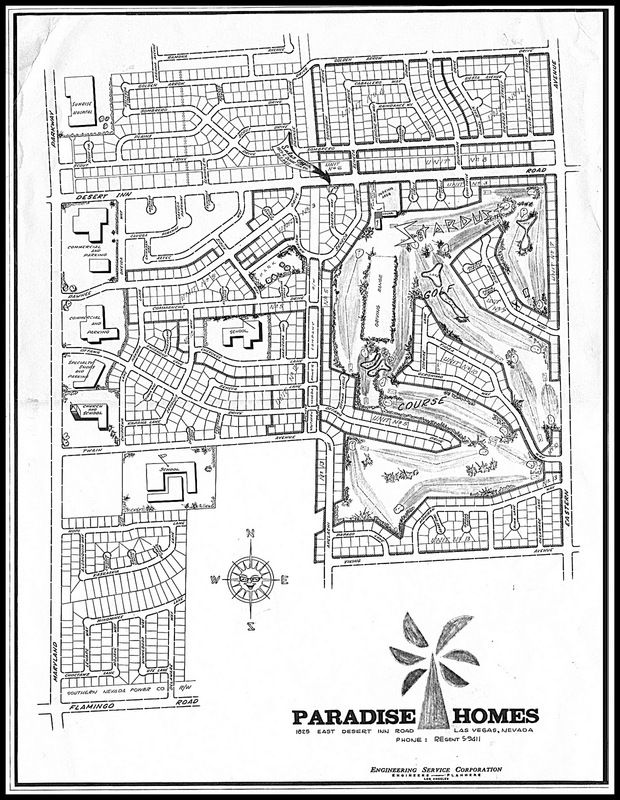 Homes located along the east side of Pawnee Drive, north side of Sombrero Drive, both sides of Silver Mesa Way and the south side of Raindance Way were completed in 1964; homes located along the south side of Sombrero Drive, north side of Raindance Way and both sides of Golden Arrow were completed in 1965. 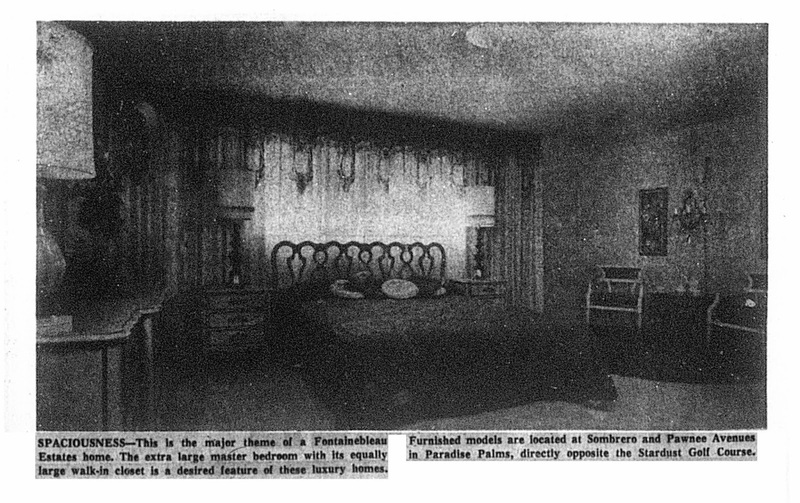 These homes would mark the last of the major tract-built homes in Paradise Palms, as the Las Vegas economy entered a recession that year. 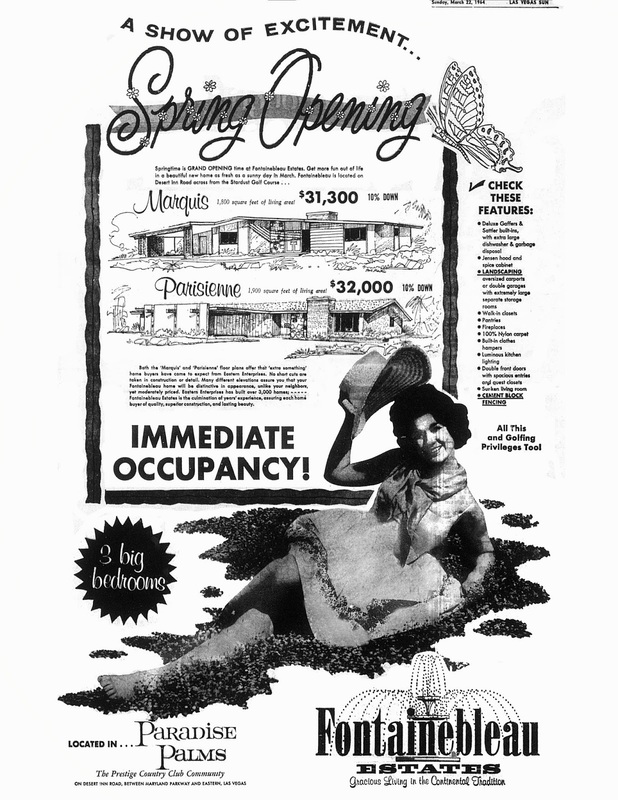 A few custom homes in Paradise Palms popped up between 1968 and 1972, and it wasn’t until 1973 that the lots along the north side of Viking and west side of Spencer between Viking and Twain were constructed, followed by the last major tract on the former community park in 1979.